Kazakhstan initiated the UN resolution that led to the international community marking August 29 as the day to reflect on nuclear disarmament issues. The resolution commemorates the closure of the Semipalatinsk Nuclear Test site on 29 August, 1991. Kazakhstan was the first country in the world to close a nuclear test site on its territory. Nearly 500 nuclear explosions took place at Semipalatinsk, causing untold damage to the environment and the to the health of over 1.5 million people. The power of these explosions was equal to 2,500 atomic bombs dropped on Hiroshima. The radiation polluted an area roughly the size of today’s Germany. 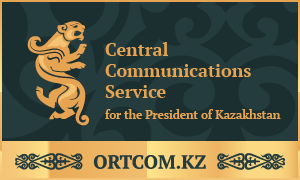 As a country that suffered so greatly from the “peaceful” development of nuclear weapons, Kazakhstan is strongly committed to the cause of nuclear disarmament. We became an independent country as a result of the end of the Cold War and we immediately saw nuclear weapons as a relic of that period. The break-up of the USSR left us with the world’s fourth largest nuclear arsenal on our territory. Actions speak louder than words: True to our commitment that Kazakhstan should become a nuclear weapons-free country, we signed agreements for the withdrawal of those weapons and their means of delivery. In exchange, we gained the status of a non-nuclear-weapon-state and firm international guarantees of security and territorial integrity from the leading nuclear powers. With the assistance of Russia and the United States, we eliminated the entire nuclear weapons infrastructure on our territory. 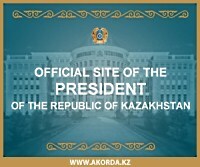 We were also one of the initiators of a nuclear-weapon-free zone in Central Asia that was formed in September 2006. Kazakhstan is not alone. Belarus, Ukraine, and South Africa also gave up their nuclear arsenals in the 1990s and showed that nuclear weapons do not need to be the foundation of security as they were during the bi-polar confrontation of the Cold War. We reject the argument that reductions in the arsenals of the United States and Russia increase the “marginal utility” of small nuclear arsenals and make them more attractive to acquire. We believe that the use of nuclear weapons is inconceivable even without the constraints of mutual assured destruction and that these weapons have no military value. Their attraction at present is of a political nature because they are seen by many countries as a requirement for “top table status” symbolized by the influence of the “P5”nuclear powers in the UN Security Council, China, France, Russia, the US and the UK. Our experience as a new country in the heart of Eurasia that renounced nuclear weapons is that a world without nuclear weapons is not a utopian dream. It is true that while weapons can be destroyed, the technologies that support them cannot be “disinvented”. Yet this does not serve as an argument to maintain nuclear weapons if the role they had to play in a previous historical context has disappeared. Our experience of successful nation-building over the past two decades also tells us that real long-term guarantees of security result instead from sustainable social and economic national development along with peaceful and mutually-beneficial co-existence. As the world’s largest uranium producer, we also support the peaceful use of nuclear technology to generate energy. We advocate creating a universal Global Nuclear Security System to combine effective observance of nuclear weapons non-proliferation with clear international norms for the peaceful and safe use of nuclear energy. We believe that civil society around the world has a key role to play in encouraging political decision-makers to re-think the role of nuclear weapons. Much can be learned from the successful international efforts of the past to develop the 1993 Chemical Weapons Convention and the 1998 Mine Ban Treaty. 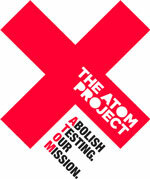 In this spirit, President Nazarbayev of Kazakhstan launched the ATOM project (Abolish Testing. Our Mission) exactly a year ago. This is an international petition campaign to unify global public opinion against nuclear weapons testing and support the abolition of nuclear weapons. More than 70,000 people from 100 countries have already signed. We are convinced that their numbers will only continue to grow..